Tune into Radio Carly: Home - pottering, advocacy, being a role model. I have been home a week today. Tomorrow I return to work after eight weeks holiday. Remind me to go to the right building, as we moved just before I went on leave! I am looking forward to returning to work as it means more face to face interaction. While I have met people travelling, so much of my communication has been online, and I am not sure if that has been healthy. It has been so good to see friends in person these past few days. Being home is nice. I have cooked, unpacked, eaten greens and slept. 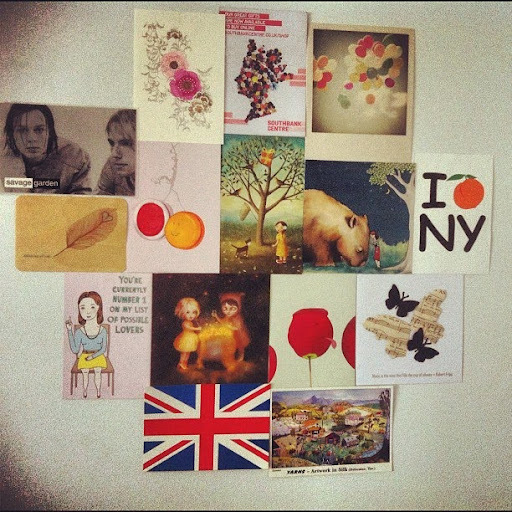 I found this postcard from a favourite store in London (the South Bank Centre) and felt nostalgic. I loved that trip. Loved it. I haven't been as productive as I had planned, but I have given my body a much needed chance to rest. I packed so much into 47 days overseas that it is bliss to be doing very little here. I want to take the time to finish my American blog posts, and to recap BlogHer and make some changes that I learnt there, but there is time for that - my body comes first. There is a pie in the oven and a big night on the couch is ahead. I made an artwork with some of the many cards I have collected over the years. While I have not managed writing anything other than the stuff others have asked me to (a speech and a story), this small burst of creativity was nice. 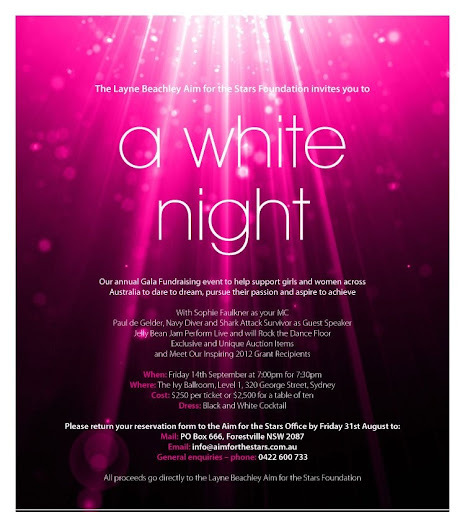 I have also been putting together my outfit for the Layne Beachley Aim for the Stars ball happening in September. I am so excited for the ball, and also to meet Layne and Megan (manager of the program) and the other grant recipients. We will attend training days and go surfing with Layne! Can you imagine!! Surfing!! The foundation has been great - so encouraging, and I can't wait to thank Layne and Megan in person, plus meeting the wonderful recipients will be fantastic. Anyway, the dress is a secret (though I saw a character on 30 Rock wearing it in an episode! 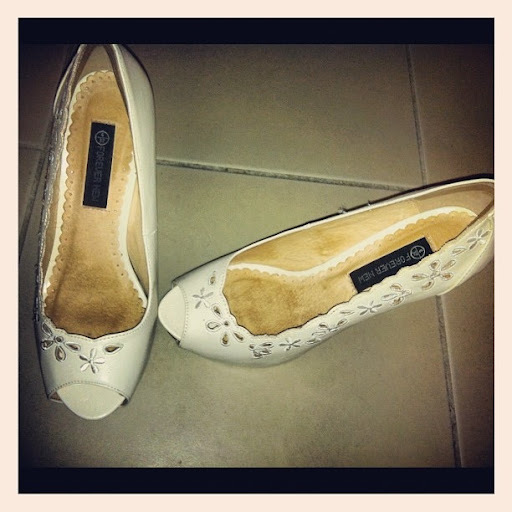 ), but here are my shoes. They are from Forever New if you are wondering. Since getting home, so many wonderful opportunities have come my way (some I put into place while overseas). It is great to be considered and valued. Really great. 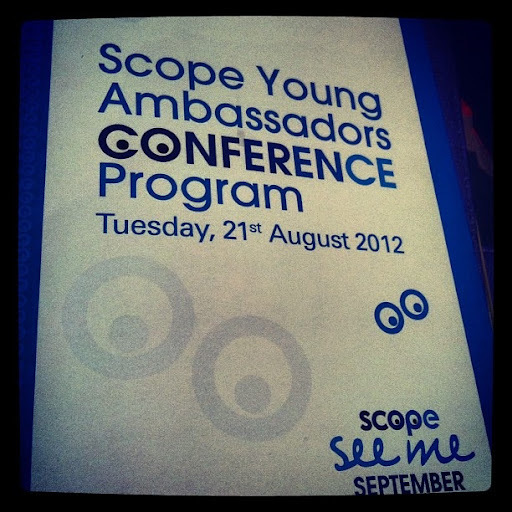 Today I spoke at Scope's Young Ambassadors conference held at Etihad Stadium. The conference helped young people learn about mobility and communication challenges surrounding disability, and gave them insight into the experiences of people with disabilities. I spoke about disability acceptance and shared my story before almost 600 primary and secondary school children. It was exhilerating, and the children were lovely - listening attentatively, asking me intelligent and beautiful questions, thanking me and asking me for photos afterward. They were lovely children. I think the conference - and my speech - made them consider the way they perceive and treat people with disabilities. I ended my speech with these words, and after seeing awful examples of disability hate on social media, I know these young people will make a positive difference. I think our future will be built with good minds. "If your friends and family are teasing people with disabilities, even if it is commenting on a picture or mean status on Facebook, say, 'no that's not ok'. It's not ok to be mean to someone because of their disability. I know you're all young leaders in this room. Set a good example among your friends in how you treat people with disabilities. You're going to be the people that change attitudes towards people with disabilities. You can do it." Yesterday I did an interview for International Day of People With Disability's national conversations. 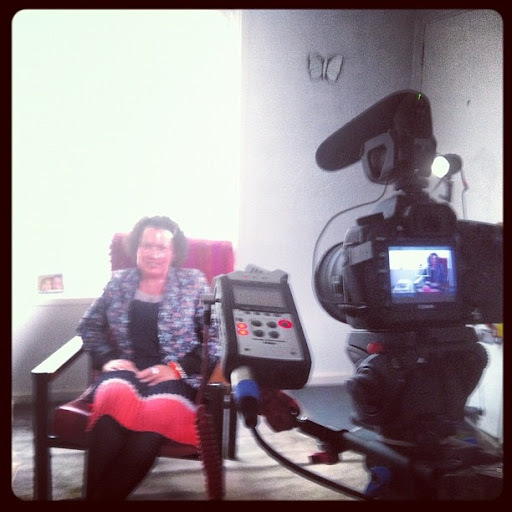 A film crew came to my house and I talked about how ai celebrate International Day as well as memtioning how blogging has helped me and others with a disability connect (I dug that thesis research out from the back of my holidaying brain!). My interview will be up on YouTube before International Day (before September) as well as other people with disabilities and those in the sector. I will also be an official conversation starter on Twitter and Facebook! Very exciting! Here I am being filmed. I have also been asked to be a judge at the Other Film Festival in September. It's a film festival dedicated to showcasing the talents of people with disabilities. But it's for EVERYONE - so YOU should come along :) There will be films, a bar, great food and people to meet. I hope you can come along if you are in Melbourne! It feels funny to be considered an expert in certain fields now - blogging, disability. I have been grappling with the responsibility that comes with being some sort of role model. It is hard, but I remind myself - I am here doing writing and speaking because I have been myself, and I will continue to be, even if some opinions surprise people. I find there is increasing pressure to act compassionately and with a moderate opinion at all times. I look at other bloggers and see the criticism they get, and know I am lucky. But in voicing my own opinion, others are free to voice theirs - good and bad. This may sound arrogant, and I apologise if it does. Today a girl at the Scope conference asked me "how does it feel to be an inspiration to others?". I laughed and thanked her. Honestly, I don't know. I guess I am still learning. Welcome home! It sounds like you've been just as busy in your week off as you were for your entire trip! Great to hear you are taking a little you time, after such an amazing and packed trip, and all these inspiring speaking gigs you are getting! Plenty of time for everything else, once you are settled back into the work routine....if it will ever be the same again, given all the other amazing stuff that is coming up for you! Things are really taking off for you! Thanks for the heads up for OFF12, looking forward to it, and perhaps even meeting you IRL at last! A conversation starter.....love that that's your title - a new calling, which is prefect for you! You are so sensible having a week off, I was back 2 days after my trip, it was exhausting. Congratulations on all the things that are happening, you have made them happen and absolutely deserve them. I think it is brilliant you are speaking to school children about disabilities. I have no doubt you inspired them. I understand by what you say about being an "expert". I always joke I have a PHD in Autism (due to my little boy being Autistic). I am so glad you are being recognised for the contribution you make. People like you Carly make it easier for children like my son. Thank you. Hi Carly! We sat next to each other at Pathfinder - I'm the bipolar girl - what a way to introduce myself again. Sigh. 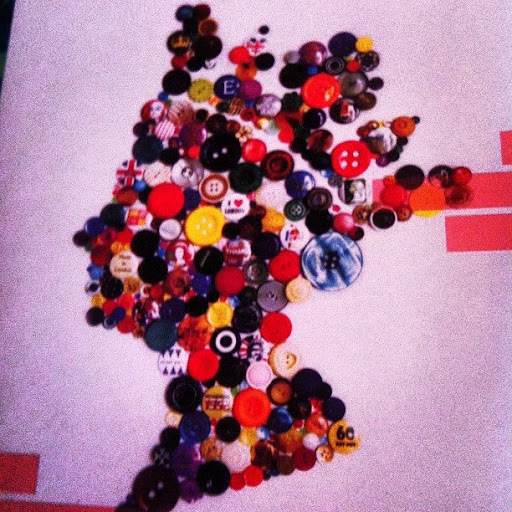 I'm so happy you wrote about being overwhelmed after BlogHer! I related immensely. I've had a hard time getting started up again. I'm interested in writing about having internal disabilities as opposed to external disabilities and would love to collaborate with you somehow. I think you're brilliant and it was so nice meeting you.